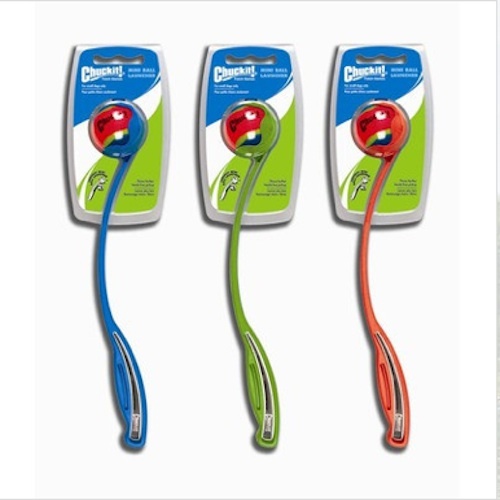 Chuckit Mini Ball Launcher- Pint-sized dogs have been barking for it, now they have a Chuckit! Ball Launcher just their size. The Mini Ball Launcher features a scaled down throwing cup that sends the mini balls a-flying. 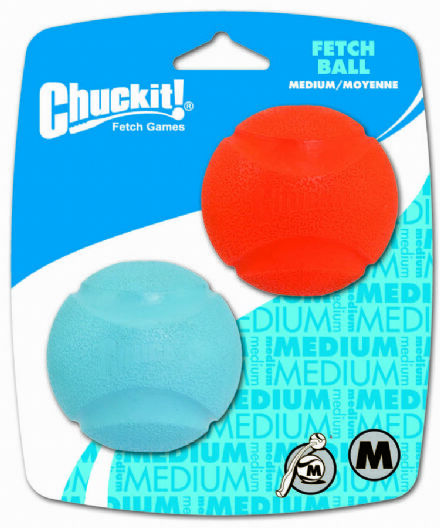 Enjoy an effortless game of fetch because the Chuckit! Mini does all the work. All play, no slobber, with hands free pick up. For small dogs only. For use with Chuckit compatible mini balls only. Description: No slobber hands-free pick up. Easily throws farther than your arm. Exercise a dog in a fraction of the time. Uses a 2 inch (5 cm) mini tennis ball.